If you are staying in Osaka, get a chance to visit Kyoto and Nara, the Japan's old capitals! The shining golden Kinakuji Temple, Great Guddha in Todaiji Temple are awating you. 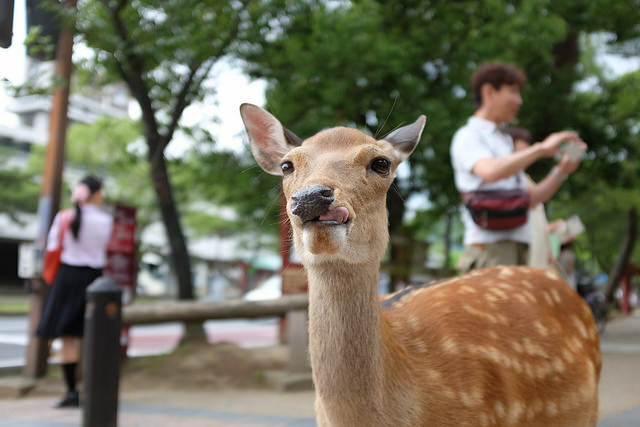 Also you'll find sacred friendly deer's welcome in Nara Park. 8th centruy Shinto Shrine, well know with its beautiful vermillion gate and bells. Sacred deers walking freely in the park are your friends. You will have a chance to feed them.